As you probably know Lance Jackson and I are incredibly close. Our friendship is more than friends, his family is truly tied so closely to ours it is as if we are siblings. Over the years we have known each other we have grown truly so close and I count it as one of the richest blessings in my life. My children call him Uncle Lance and he is truly a huge part of our lives. He was the one who sat with me after my grandmother died, he has been the one who steps in to help with the kids in emergencies and he has been a huge part of the growth of my faith over the last few years. He is so precious to us. Imagine my heartbreak when his father took a drastic turn for the worst and a fall in his house turned into hospice. There were no words to describe the family as they tried to comprehend what it all meant. I sat by in the corner of the room and prayed for peace and just tried to help where I could. It was truly so hard. Watching someone you love hurt is just awful. His father left this earth on Friday evening surrounded by his family. I can only hope I have the honor of leaving the same way. As they prepared for his service I was asked to write his obituary, an honor I can't truly describe. How do you write a story fitting of such a fine and honorable man? I truly was so blown away by even the ask and I sat down early Saturday morning with Lance and as he told me detail after detail we pulled it all together. It was quite possibly the most memorable thing I have ever written. I can't quite explain to you the feeling I have after witnessing such honor and presentation. Tommy Jackson was not only a great man of faith and honor he was a public servant. 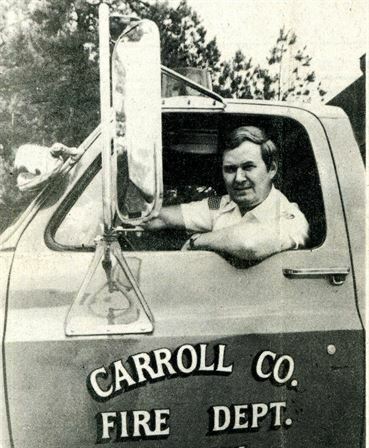 He was the first fire chief of Carroll County starting not only one fire department but also the 911 system for the area. His accomplishments are many and truly too long to list. As the morning started I knew it was a "full color" funeral but truly had no idea what that meant. As I stood outside the church I began to understand. When a firefighter dies he is treated to a quite an honorable send off, the final farewell. I will not get all the details and names correct, but you will get the gist of my experience. To show their respect and gratefulness for his service and willingness to put his life before others the send off is ripe with tradition and details. I understand the different departments have their own ways of doing things, but the basic idea is the same. 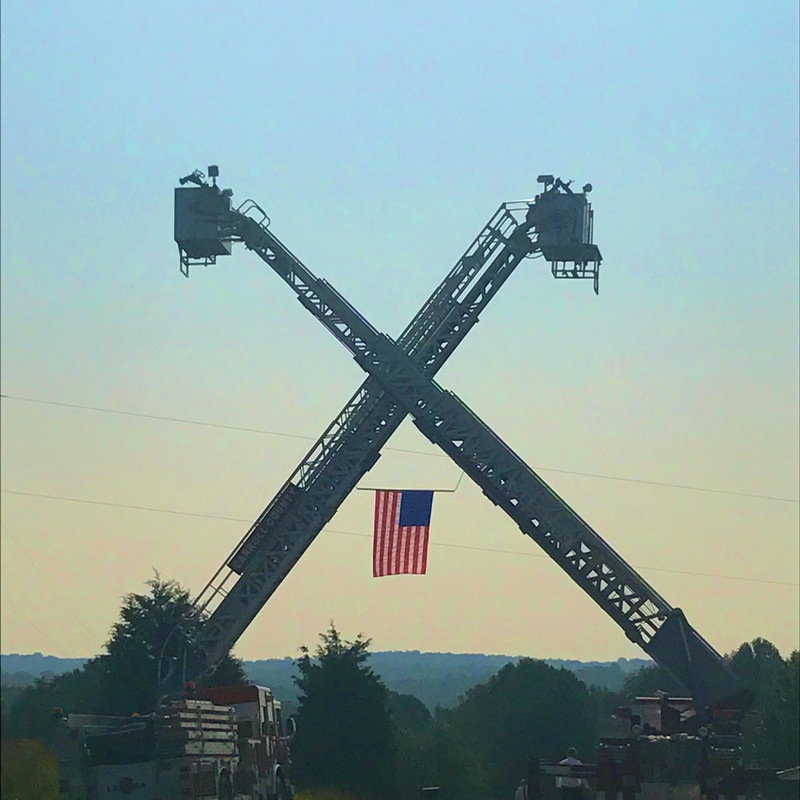 For this instance two ladder trucks parked on either side of the road leading to the funeral and extended their ladders creating an X. In the center of the X a flag was hung. It was a bright and sunny day and the image was quite incredible. I took it into the sun and the view I understand from the opposite side was even more breathtaking. Mr. Jackson was loaded into the bed of a fire engine which carried him and his family to the funeral. It is called Last Call and the engine was flanked in front and behind with many police cars, EMT vehicles, more engines and the like. As the procession entered the area I stopped counting at 25. I was truly overwhelmed with emotion and tears watching people salute and get out with their hands over their hearts as the engine passed. As the casket entered the church the path was flanked by the same individuals who drove the engines and other vehicles. They saluted as he passed and stayed in position as we all walked in and were there once again as we all exited after the funeral. I was completely overcome with emotion and I looked at each of those men who would instantly sacrifice themselves for another without one second of hesitation. I couldn't contain my emotion. I wanted to shake each hand and hug each of them and thank them for their service and commitment. As the grave side portion was ending the call came over the radio the announcement was made that he was laid to rest. It started with his full name and rank and ended with a beautiful tribute thanking him for his service and with the words "this is your last call". After that a fireman played Taps. It was peacefully quite and surreal. I was completely overwhelmed with the most emotion I have quite possibly ever felt. I learned so many things the past week it is hard to keep it all straight. I am so focused on leaving a legacy for my family and fulfilling a mission statement I created when I was a brand new mother. What I know after watching the days unfold over the last week is this ... Samuel Thomas Jackson lived his life exactly as I have always striven to live mine. He was a perfect example of what we are all called to be. He was a man of faith who loved his wife and pursued her daily. He loved his family with an incredible immense and deep love. He was a man of honor and grace and strength. He was a man of service and sacrifice. He was a great man. I will never view a public service employee the same. I don't think I will ever take them for granted but I also never really looked at them the way I will now. They deserve our show of love, support, prayer and respect. They deserve our daily thank yous and hand shakes. And I will teach my children to make sure they give it just as they do when they see someone in the military. And I will also make sure I am hitting all those marks on my mission statement. Our days on this earth aren't guaranteed and I will make sure my busyness makes time for service and even more time with those I love telling them daily what they mean to me. Heart is heavy with gratitude for this public servant's family and for you. As I read on down, I realized that he shared my Father's name, Samuel Jackson. Thank you for sharing your tender observations. I cannot tell you how much this touched me. 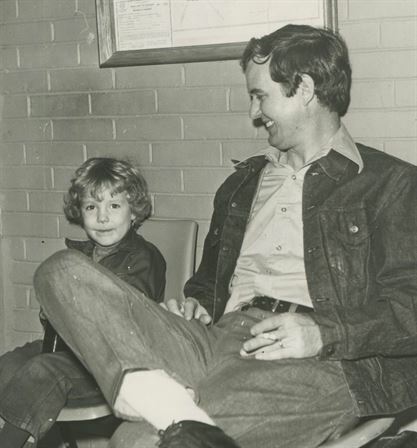 My father was a deputy chief at the ElReno, Ok fire department and also a man of great faith. He had his Last Call this past March. My brother-in-law is the current fire chief there now, so my sisters and I left most of the details of the funeral to him. I cannot tell you how wonderful his ceremony was! It was a fitting memorial for a great man. I am so sorry for you and your friends loss! I am so sorry to hear of the passing of Lance's father. What a man of honor! My daughter was at Baylor when the explosion at the plant in West TX took place. The funeral for the fallen took place at Baylor. She attended and we watched via video. Like you, we were so moved by the service and its symbolism. The men and women that serve as publics servants deserve our thanks much more than we give it. What a beautiful legacy he left to his family and friends. Thank you for your eloquent and heartfelt post, you lived up to the honor of composing this dedicated man's obituary. I send you thoughts of comfort, peace and grace. Paige, what a beautiful tribute to a much loved man. You are blessed to have Lance and his family in your life. And they are blessed to have to. Thank you for sharing. What a beautiful tribute to such a great man. My deepest condolences to you and his family. I love that you are mindful of teaching your children to show gratitude and respect to military, law enforcement (even the one who gave me a ticket last week! ), and other public servants. My Mom also taught me that from a young age. I just discovered your blog a few weeks ago and it is wonderful. I live in Dallas and it has been a difficult time here in Texas. Your blog has been comforting to me, especially the reminders to love our family and friends wholeheartedly. All of my family and friends in Houston are miraculously safe. I am sending you wishes for a peaceful spirit during this time of loss for you. Incoming 1800 Free Numberare billed by the time duration of the call. Cut the time of the call and you will automatically reduce the cost of the call. Every business owner wants the best Primus Business telecommunications deal. The easiest and best way for you, as a business owner, to do this is to hire a consultant to manage your needs.